A Transparent plate is mounted (via magnets) to three loud peakers serial-connected to an amplifier delivering a sinus signal. 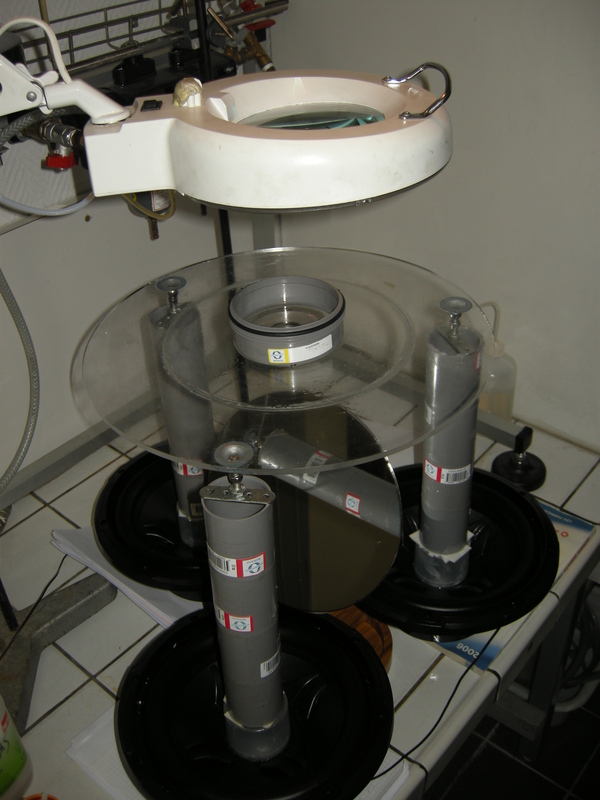 Silicon oil ( with viscosuity 20 Cst) is put on the transparent plate. A mirror placed below redirects the light beam to tha camera. 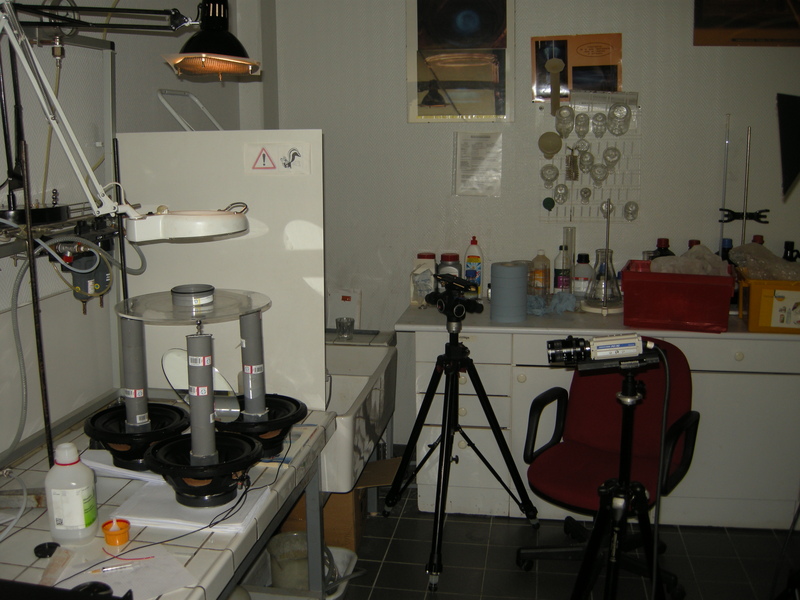 NB : it is not easy to set up this light system : the light source muste precisely tuned at the focal point of the lens. is there is any lab can build this setup for me ? or do u sale redy made setup ?